The gravestones of thousands of British and Canadian soldiers who died liberating France from Nazi rule are to be replaced in time for the 70th anniversary of D-day, it was announced yesterday. A total 8,329 of the white limestone monuments are in need of repairing or to be replaced as some are in such poor condition is is impossible to read the soldier's name. It follows President Francois Hollande inviting The Queen to be the centre of commemorations which takes place next year. 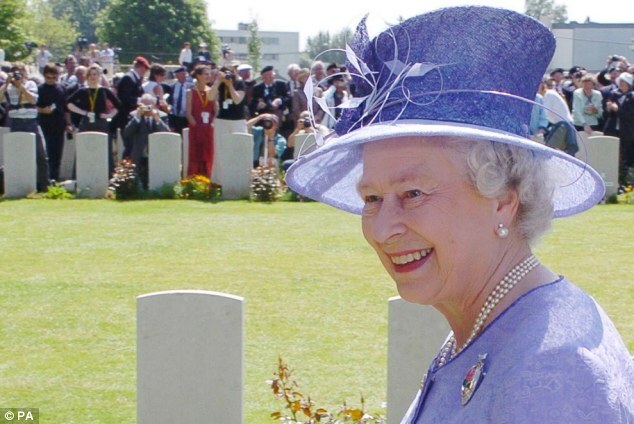 If she accepts, Her Majesty will join President Hollande on Sword Beach, where British forces stormed ashore on June 6th 1944. 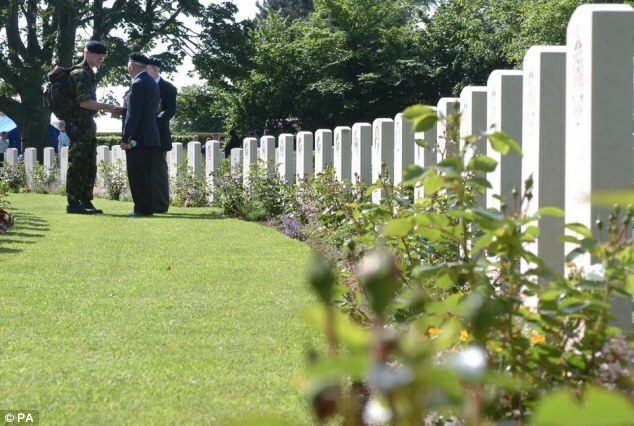 Many are among those buried in Northern France after losing their lives in the Battle of Normandy. But their distinctive white limestone headstones have not been replaced since the end of the Second World War – leaving many in poor condition. He said many of the headstones would now be destroyed and replaced with marble-like ones from Botticino in Italy. 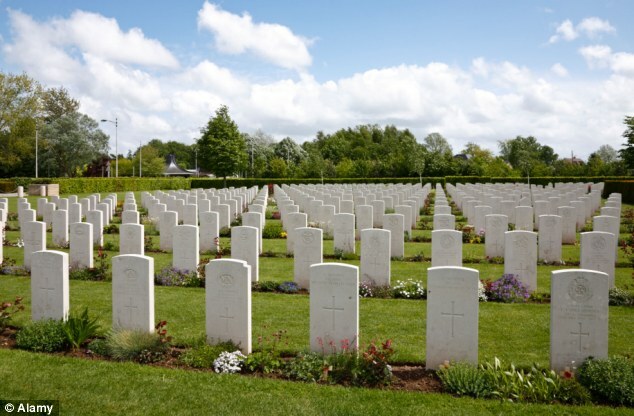 A French and a Belgian company are carrying out the work, which has already started at the British cemetery in Bayeux, the Canadian cemetery in Cinthaux, and the Ranville cemetery. Ranville was the first village in France to be liberated from the Nazis on D-Day after a successful operation by the British 13th Parachute Battalion, commanded by Lieutenant-Colonel Peter Luard. The CWGC is responsible for 3,000 cemeteries in France, and the British government provides almost 80 per cent of its budget.